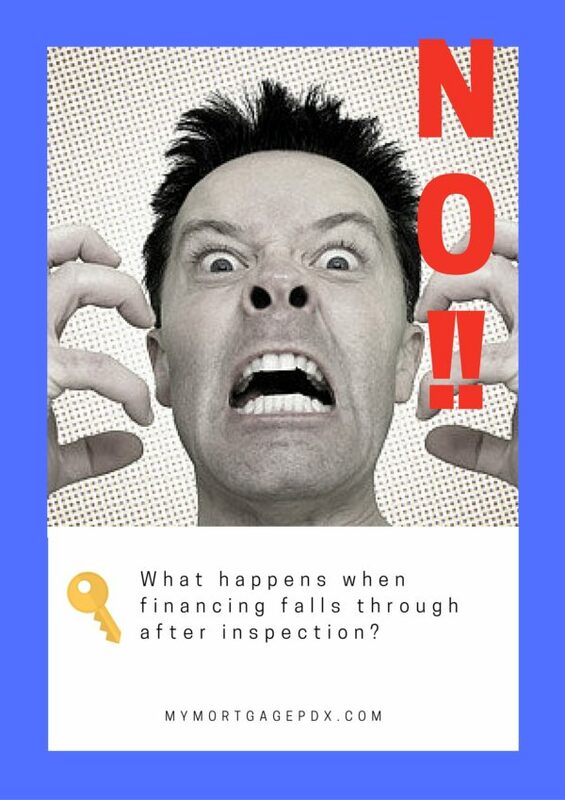 No one wants to hear that their financing fell through, especially after you’ve already conducted the home inspection. Home inspections can be costly – typically $300 – $700 paid directly to the inspector on site. Having things fall apart afterward just feels frustrating. There are a few things you can do to prevent this. I’m not talking about the money spent to buy the home as in a home appraisal or even the inspection itself. I mean large purchases, especially those that require a loan, but even those that you can pay cash for. If you have a few thousand dollars in the bank and the lender takes this into account as your assets, but then you spend that on a new couch, car or other issues, you no longer have that liquid asset and it can affect your interest rate or even the chance to get the loan at all. Just don’t make any large purchases before your house closes. Missing a payment can be disastrous at this state. You don’t want to do anything that could affect your credit history or rating. Any major changes from the time your rate is locked in until the time you close can affect your financial history and the future of your financial decisions. Make sure all of your bills are paid on time even though you are moving and may be able to avoid some payments. Make sure all of your loans and credit cards are paid and as up-to-date as possible. Related: What happens if the Home is Trashed after Inspection? What happens if you’ve already made a mistake or if through no fault of your own your financing falls through? This has happened. It has also happened through no fault of my clients. For instance: I occasionally have couples that are in the middle of the divorce and one of them is moving out and buying a house of their own. However, most of their credit history is between the both of them so any major problems that happens with the other spouse can affect the spouse trying to buy a house. It’s best to try to amicably resolve all issues before hand and make sure that all bills are being paid on time so that there is nothing to destroy the credit during the home buying process. Unfortunately, once the inspection report is complete and the process moves on to pending, your earnest money deposit may be forfeited and of course you still need to pay the inspector. A good a buyers agent can usually get the earnest money back, especially if there is a financing contingency. The contingency states that the process will only continue if the financing goes through. If financing cannot be completed, the transaction terminates and the earnest money is most likely return to the buyer. The seller may contest this so be prepared for some interesting negotiations should this case arise. Everybody involved in the real estate transaction is working to complete the transaction. They don’t want anything to fall through so be assured that everyone is working for you and on your side during the process. If you have questions or concerns contact our office today were being close communication with your buyers agent to avoid any unnecessary financing mishaps.